Where Can I Find Drink Blocks? Drink Blocks feels very honored and thankful for the support and welcome we have received from Parents and Kids across the United States. We are working hard to work with your local grocery stores and retail shop distributors to make Drink Blocks available at even more places. We understand how important being able to serve you kids a Sugar-Free kids drink is to Parents. With Childhood and Adult Diabetes on the rise and Childhood Obesity growing into an epidemic, Drink Blocks is doing our part to provide Parents a drink that is healthier for kids than sugar-filled Soda, Fruit Drinks, Sports Drinks, and Energy Drinks. Parents and kids alike have also raved about the Drink Blocks buildable bottle design and labelling. Studies have shown amazing benefits of kids using toy blocks and building toys to express their imagination. We do get the question often, "Where can I find Drink Blocks for my kids?" We wanted to take the time to provide you with the answer. Simple sugars, including glucose, table sugar, fructose, and honey caused a fifty- percent drop in the ability of white blood cells to engulf bacteria. The immune suppression was most noticeable two hours post-ingestion, but the effect was still evident five hours after ingestion. Water and some Sugar-Free drinks, on the other hand, have properties that benefit the human body’s immune system. 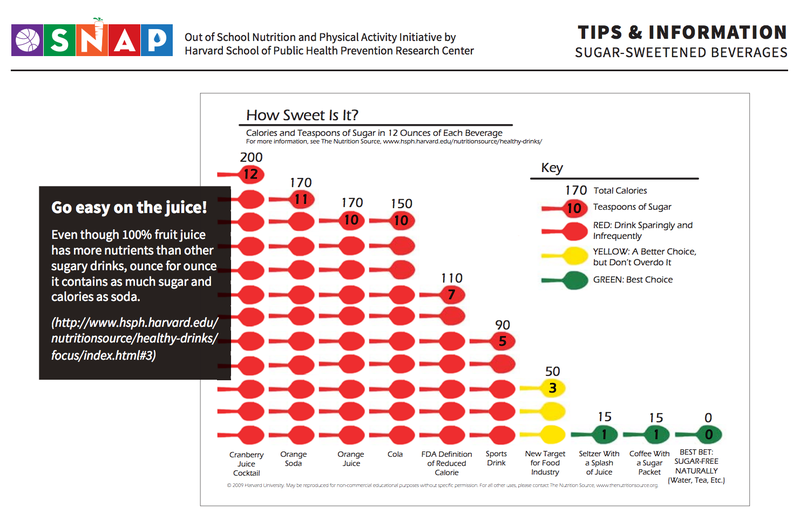 Kids tend to eat and drink too much foods and beverages that are sweetened with refined sugar. Drinks with a high glycemic index stimulate the production of LPL (lipoprotein lipase), the enzymes that encourage the body to store food in fat cells. While the risk of developing diabetes lies more in the genes than in the diet, the old grandmother’s tale that too much sugar causes Type 2 diabetes does have scientific support. Your Liver and Pancreas have to work extra hard to handle the influx of sugar that sugar-filled drinks brings into your body. Sugar-Free Drinks, such as water and some Naturally Flavored Water, helps to flush the body of toxins helps your liver, pancreas and kidneys to work more efficiently. When bears are storing up body fat for their long winter hibernation, they consume lots and lots of carbohydrates. When you eat excess carbohydrates, your body turns these sugars into fat. People who eat too much sugar tend to have higher blood tryglycerides, and this increases the risk of cardiovascular disease. Sugar is believed to Decreases Learning Performance. Between 1979 and 1983, 803 New York City public schools reduced the amount of sucrose (table sugar) and eliminated artificial colors, flavors and two preservatives from school lunches and breakfasts. 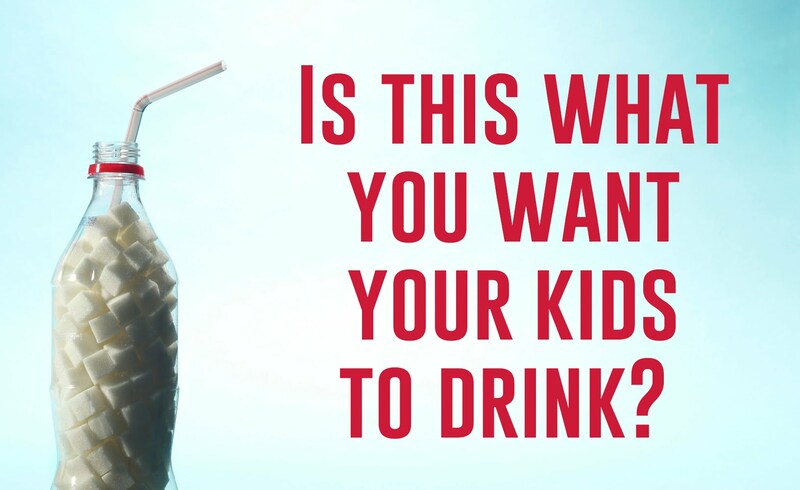 This action promoted the consumption of water and other sugar-free drinks by kids. The diet policy changes were followed by a 15.7% increase in a national academic ranking (previously, the greatest improvement ever seen had been 1.7%). With all the other life-threatening effects of sugar, we sometimes forget the most basic damage it does to your teeth. When it sits on your teeth, it creates decay more efficiently than any other food substances. In the last few years, evidence has mounted that too much sugar — often invisibly insinuated into beverages, processed foods, and restaurant fare—harms health. Downing just one 12-ounce can of a typical sweetened beverage daily can add 15 pounds in a year. In children, one sweetened beverage a day fuels a 60 percent increase in the risk of obesity—and American teenaged boys drink almost three times that much. This April, an HSPH study linked sugary drinks to increased risk of heart disease in adults. Scientists have long known that sugar reduces the “good” HDL cholesterol in the blood. Consistent with this effect, the April study showed that it wasn’t just weight gain that raised heart disease risk, but sugar itself—eating an otherwise healthy diet or being at a healthy weight only slightly diminished the risk. In 2004, the Nurses’ Health Study found that women who had one or more servings a day of a sugar-sweetened soft drink or fruit punch were nearly twice as likely to develop type 2 diabetes as those who rarely imbibed these beverages. As a dietary enemy, sugar is cleverly camouflaged, because it is dissolved in liquid. A typical 20-ounce soda contains 17 teaspoons of sugar. “If people thought about eating 17 teaspoons of sugar, they’d become nauseated,” says Walter Willett, Chair of the Department of Nutrition and Fredrick John Stare Professor of Epidemiology and Nutrition. “But they are able to drink it right down and go for another.” While we normally balance a big meal by taking in fewer calories later, that compensation doesn’t seem to occur after guzzling soft drinks—possibly because fluids are not as satiating as solid foods, or because sweet-tasting soft drinks whet the appetite for high-carbohydrate foods. Willett and Lilian Cheung, lecturer in the Department of Nutrition and editorial director of The Nutrition Source, urge people to choose drinks far lower in sugar and calories: options such as water, tea, seltzer with a splash of juice, coffee with one lump of sugar. “If we can shift the present American norm back to a lower expectation of sweetness, people will adjust their palates, particularly the younger population,” says Cheung. So many kids out there 'learn' and think the orange juice they drink at breakfast, the cookies they eat as a snack after lunch, the goodies they trade at school and the Gatorade they chug after practice are no big deal. They get this believe because their parents often believe the same thing: that daily intake of sugar is harmless and just a function of childhood. This is for all the parents out there, who I'm sure have all preached about the dangers of too much sugar to their kids, but may not fully appreciate why too much sugar can be dangerous and lead to childhood obesity. Sugar is a sweet substance that comes from plants, mostly sugar cane and sugar beets. It is one big carbohydrate called sucrose made up of two smaller carbohydrates called fructose and glucose. 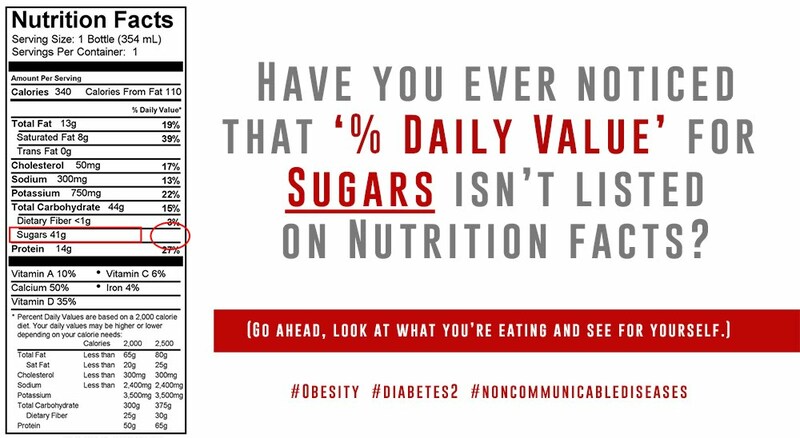 Sugar has absolutely no nutritional value – no protein, vitamins, minerals or fiber. Sugar was brought to Europe in the 1100s as a precious drug, known for its “tremendous addictive potential,” and was called “crack” during that time in France, says psychotherapist Julia Ross in her book “Mood Cure.” Quickly removing refined sugar from a diet can cause withdrawal symptoms like those with a drug: fatigue, depression, headaches and achy limbs. When you consume sugar, it enters your blood rapidly because there aren’t any nutrients or fiber to slow it down. This causes the sugar or glucose levels in your blood rise. Your body then hustles to process this sugar because it knows you could be in grave danger from too much blood sugar. Sugar provides a burst of energy that might be fun for a minute but usually doesn’t last too long. This burst of energy can make you feel hyper and unable to focus. What long-term effects does Sugar have? Eating too much sugar can make you feel full so you don’t eat enough healthful foods. Then your body ends up missing important nutrients such as protein, vitamins and minerals. Childhood Obesity is on the rise as is Pre-Teen Type 2 Diabetes. If you eat more sugar than your body can use in a day, it stores the sugar it doesn’t need in the liver or converts it to fat. When you do this regularly, you damage your liver and build up fat. The American Heart Association recommends no more than 3 teaspoons (12 grams) of added sugar per day for kids, yet get according to the National Health and Nutrition Examination Survey, the average consumption is 23 teaspoons for boys and 18 for girls. The recommended daily allowance can be easily exceeded with just one bowl of cereal! A child who drinks a 20-ounce original Gatorade will have consumed three times his or her sugar allowance for the day. “Added sugar” refers to the sugar and high-fructose corn syrup added to foods during processing. The sugar in fruits, vegetables and other whole foods are not added sugars; they are natural sugars. Added sugar is in 74% of packaged foods, according to a study published in 2012 by the Academy of Nutrition and Dietetics. Those include foods that many of us think of as healthful: yogurt, energy bars, pasta sauce, breads, salad dressing and ketchup. The FDA maintains a list of more than 3,000 food additives that are put into our processed foods. Sugar is the second most common behind salt, which means it is in a lot of the things we eat. Low-fat foods often have extra sugar to help bolster the taste. Brightly colored foods with dyes usually have added sugar. Read your labels. Unless you have diabetes, it is difficult to absorb too much sugar from eating whole fruit because whole fruit has fiber. Fiber slows down the digestive process by releasing sugar into the bloodstream at a slow and steady rate. Unlike whole fruit, fruit juice lacks fiber, quickly releasing sugar into the bloodstream causing a burst of energy followed by a sugar crash. One cup of apple juice has 24 grams of sugar. Some juice has almost as much sugar as soda. Yes. Tooth decay begins with bacteria that naturally live in the mouth. These bacteria burn sugar in order to thrive, and during this process convert sugar into acid. The acid then eats away at a tooth’s enamel, which causes cavities. Sticky foods like Skittles and Starburst and long-lasting candies such as lollipops and Jolly Ranchers are the worst for teeth because they allow the sugar to dawdle in the mouth for a prolonged period. I recommend that parents and their kids (age 10 and older) watch the film “Fed Up” together and join the filmmakers’ challenge to give up sugar for 10 days and see how they feel. My 10- and 12-year-olds found it fascinating. And if you want to have a sizable impact on your lifelong health, reduce your sugar consumption all year long! A study recently published in the 'Nutrition Journal' stated that children between the ages of 4 and 13 should be consuming 4 to 6 cups of water per every 1,000 calories they eat. Around 75% of dietary water comes from beverages and the remaining 25 percent comes from moisture in foods. Yet only one in four U.S. children are getting the amount they need. Even mild dehydration can lead to health problems and trouble concentrating. For many parents, however, which drinks to offer their kids — and how to get their kids to drink them — can sometimes be a dilemma. • Best Served Cold — The U.S. Centers for Disease Control and Prevention said to make more appealing serve your kids drinks that are chilled or cold. When they are feeling warm or hot from playing, there is nothing more satisfying than a cold beverage. • Avoid the Caffeine — Soda may be a liquid, but it’s actually dehydrating (not to mention Soda is sugar-filled). A common ingredient in soft drinks is caffeine, which is a diuretic, causing a loss of fluids. Let's not forget to mention that Soda is filled with sugar and also contain ingredients that offer no nutritional value. • Eat more Fruit — Fruit is a great way to help meet hydration needs, especially water-dense strawberries, grapefruit, cantaloupe, peaches, pineapple and, naturally, watermelon. Please remember that beverages advertised as 'Fruit Juice Drinks' can be just as sugar-filled as their Soda counterparts. • Keep Water handy and within reach - Carry water or another healthy drink wherever you go so it's available when they are thirsty. Leave water bottles in the car. Keep a bottle in your bag or backpack. Chances are they’ll drink water more often when it's right in front of them. To further encourage kids to be sufficiently hydrated, don't make it into a chore. If you can make it fun and make it be naturally part of their routine, your kids will stay hydrated naturally.